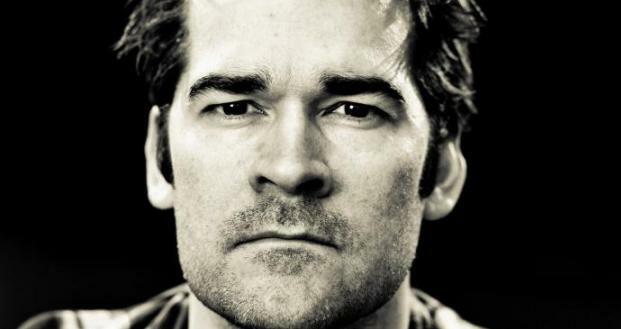 Trying to review Adam Riches’ insanely creative, confident, character-filled Fringe show is a bit like trying to nail fog to the Forth Bridge: it’s virtually impossible. After all, what do you say about someone who opts to start an hour of comedy with a fast paced, deeply surreal ten minute impression of Sean Bean, complete with full Game of Thrones armour, lunatic grin and a dodgy Sheffield accent? Riches sums up Sean Bean’s (imagined) personality perfectly. He’s vain, strides around like he owns the place, likes to execute imaginary horses and hisses the word ‘bastid’ through his teeth every few minutes, finding time to destroy a table and mock some monks while he’s at it. There’s basically no difference between his impression and rewatching The Fellowship of the Ring. As starts to a show go, you really can’t beat it. Even the rambunctious, thoroughly intoxicated stag party in the first few rows are entranced and fall silent for the first time since about 10am that morning, he’s that good. You can sense the slight disappointment in the room when the Sean Bean section ends and he moves on to his next character, a lunatic (can you see a theme developing here?) mixologist armed with two bottles of miscellaneous fluid, a banana and some straws. However, it isn’t long until we’ve forgotten all about Bean: we can’t wait to see what he’ll do next. As with the Sean Bean section, he enlists the help of a hapless audience member to excellent comic effect. Just a tip: if you decide to buy a ticket, don’t sit next to anyone who is drinking anything you don’t want to sample. There seem to be very few things he won’t do in search of a laugh, and he really isn’t bothered who he drags along with him, where he touches them or what he gets them to do. It’s pure, madcap invention, and it’s perfect. His use of the audience pushes way past normal comic boundaries, they really do become part of the show. Everyone who was chosen to ‘help out’ really throws themselves into it. Partly because it’s a Friday night and they’d had a few ales, but also because Riches’ enthusiasm, charm and wonderful character skills sweep everyone along with him, from his very first words as Sean Bean to the final scene involving a paddling pool, a worried looking bloke and some bio yoghurt.You’ll never look at Yakult the same way again. Yoghurt shower guy was a good sport, but the award for Best Supporting Audience Member really has to go to the Gunther-from-Friends lookalike who was beckoned onto stage to help with the initial Sean Bean section. Never has an office chair been slaughtered more gently, or musical hair strummed with more compassion. If you consider yourself to be a real comedy fan, then there is absolutely no excuse whatsoever for missing this excellent, and deeply surreal, show. Just try not to sit anywhere in the first three rows and you’ll be fine…probably.